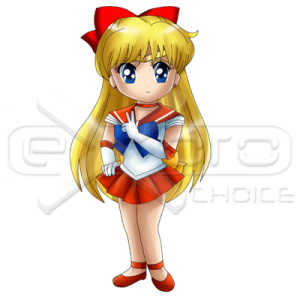 Exoro Choice’s Chibis – Sailor Venus is the fourth and last Sailor Senshi (in the first story arc) to be discovered by Sailor Moon, though she was the first to be awakened to her powers. She possesses powers associated with love. In the manga and anime series she dreams of becoming a famous idol, whereas in the live-action series her character is refactored to already be a celebrity. SKU: CHSS-SMOON06. Categories: Chibi, Superheroes / Supervillains. 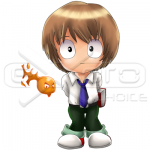 Tags: cartoon, Chibi, chibi design, chibis, create mascots, cute, mascot designs, Sailor Venus, Sailor Venus Chibi, sales page graphics, superheroes.